Whereas football is arguably the most popular sport in the world, there are 2 countries outside of the US where basketball reigns supreme - the Philippines and Lithuania. It is played on both the professional and amateur level and there is a national team. Residents can wager on Philippines basketball through both domestic and offshore means, i.e. through legal offshore online Philippine sportsbooks. This page was created specifically for Filipino residents and has information on the legalities of offshore betting, where to place wagers and the history of basketball in the country. Is It Legal To Bet On Basketball In The Philippines? Yes. Philippine gambling laws allow sports wagering through authorized channels. PAGCOR, or the Philippine Amusement and Gaming Corporation, is in control of the domestic sports betting. There are multiple physical betting locations throughout the country. Metro Manila has the largest concentration of brick-and-mortar betting outlets. MegaSportsWorld is another provider in partnership with PAGCOR and offers hundreds of retail locations throughout the Philippines. Residents also have the option of wagering through licensed offshore sportsbooks. These sites offer betting lines on all kinds of sports, including basketball, from domestic and international leagues. There are no laws against Filipinos using these sites, so they provide a fresh alternative for local bettors. There are many different offshore sportsbooks out there, but not all are considered legitimate. Our team of online sports gambling analysts have found the best available sportsbooks accepting Filipino residents and compiled them into the table below. 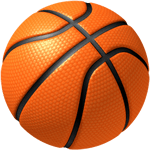 These sites feature betting lines on local and international basketball, as well as many other sports categories. All of our recommended brands have been tested for legal licensing, regulation, betting line selection, wagering type variance, bonus promotions, live/mobile betting capabilities, security features and customer service options. You can look through these sites for yourself by clicking on the links provided in the table. From there, check out each component of the site to see if it has what you are looking for. The Americans brought basketball to the Philippines during their occupation of the nation in the early 20th century. The first men’s national team was introduced in the 1910s. They went on to compete in the Far Eastern Championship Games in 1913 and won 9 out of 10 gold medals. The Basketball Association of the Philippines landed them a membership in FIBA in 1936, which is also the same year they made their Olympic basketball debut. Eventually, after the Philippines gained its independence, basketball began to flourish. The Philippine Basketball Association came about in 1975 and the Philippine Amateur Basketball League was introduced in 1983. As you can see, each team is carried by a corporate sponsor. As far as the season goes, it is not like your typical NBA season. The league is divided up into conferences and the conference champions do not play each other at the end. A season is typically broken up into 3 conferences—Philippine, Commissioner’s Cup and Governors’ Cup. If a team wins all conferences, they are deemed the “Grand Slam” champions. The Philippine Basketball League was a semi-professional league that also spawned out of the Manila Industrial and Commercial Athletic Association. It was founded in May 1983 in Manila City and officially ceased in 2011. The amateur league was originally known as the Philippine Amateur Basketball League, then changed names. There were always way more teams than the PBA, thus creating more competition, but these numbers fluctuated as time went on and sponsors came and went. There were efforts to strike a merger between the PBL and other smaller regional leagues, but these dissolved. The PBA announced it would launch a D-league, which ultimately sucked up all the competition, thus leading to its disbanding. The Philippine's Men’s national basketball team joined FIBA in 1936. They are currently ranked #31 in the world. Their coach is Chot Reyes. The team, as a whole, has been pretty successful over the years. They have appeared in 7 Olympic games, but never won any medals. With 5 appearances in the FIBA World Cup, only 1 resulted in a medal (bronze, 1954). They have played 27 times in the Asian Championships, taking gold in 1960, 1963, 1976, 1973 and 1985. They won silver in 1965, 1971, 2013 and 2015 and bronze in 1969. Their first tournament was the Far Eastern Championship Games in 1913. They defeated China in the first-ever international basketball game in Asia. This team won each championship game up until 1934 with one exception (1921).